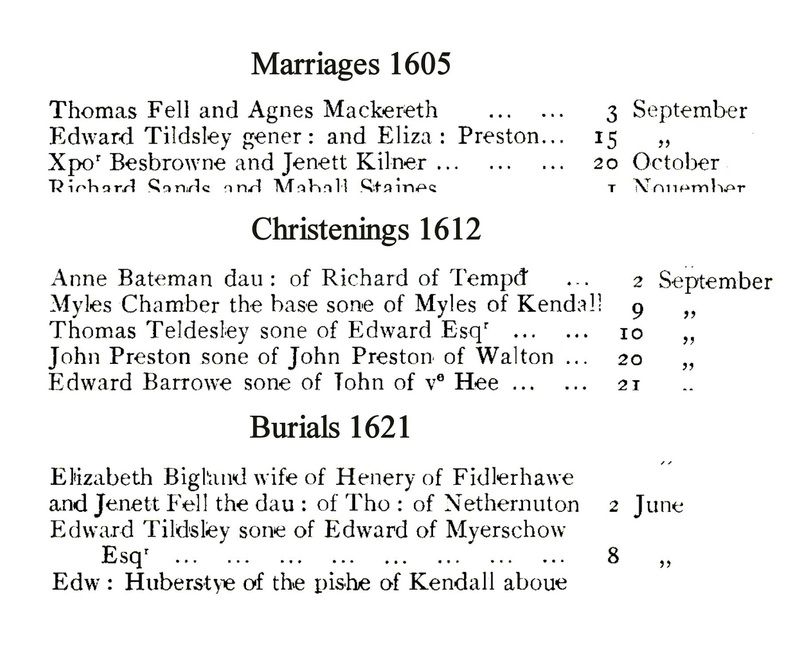 Thomas Teldesley was, of course, later to be better known as Sir Thomas Tyldesley 1612-1651. 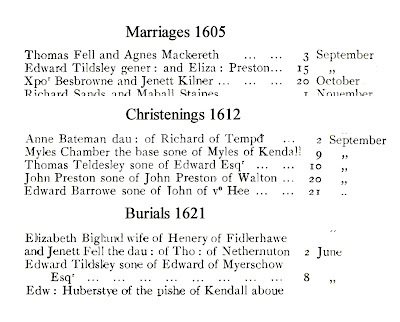 His brother, Edward Tildsley, was christened on 14 November 1615, as recorded in the Garstang registers. It is therefore likely that he was just 5 years old at the time of his death.